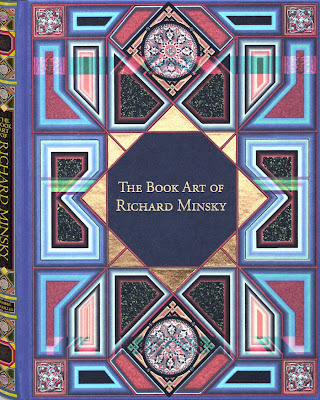 Richard Minsky, the acclaimed book artist, has a new book. 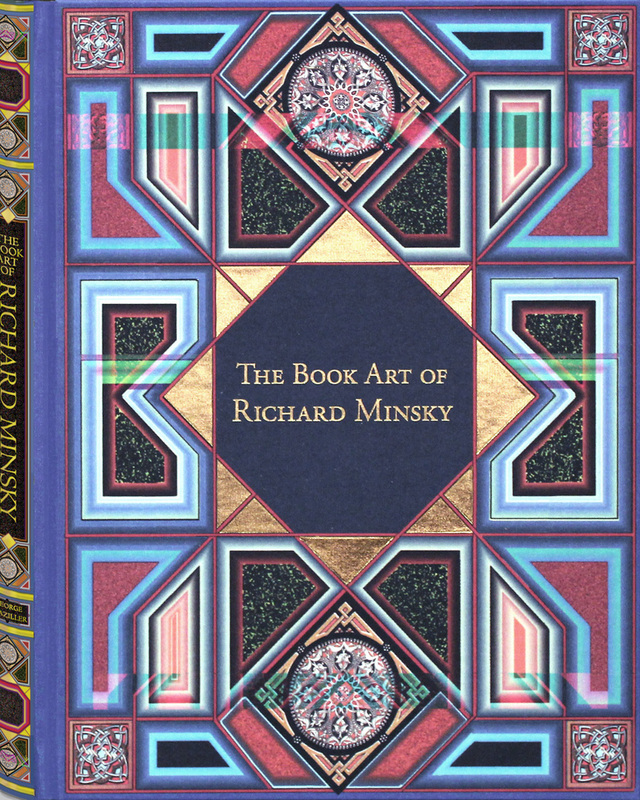 The Book Art of Richard Minsky collects the artist's most influential pieces, those that changed the way artists make books. Including some of the least known masterworks from private collections, this volume presents the first comprehensive examination of a half century of Minsky's art. A foreword by curator and historian Betty Bright, author of No Longer Innocent: Book Art in America 1960-1980, complements a first person narrative by Richard. He discusses the influences that shaped his life in art from early childhood onward. He also reveals key elements of his theoretical methodology that shaped the "material meets metaphor" works for which he is best known, as well as the principles of decorative art that inspired his integration of Constructivist and Art Deco strategies with Abstract Expressionist principles. The book, a beautifully printed and embossed hardcover volume, is lavishly illustrated with full-color reproductions. A trade edition will be issued in June of this year at $34.95. A deluxe slipcase edition limited to 150 signed and numbered copies will also be released at that time, at $175. However, the limited edition can be acquired for the pre-publication discount price of only $100 if ordered before an April 1, 2011 price increase. Richard Minsky is widely acclaimed as a pioneering book artist whose work is collected internationally by major museums and libraries. He is the recipient of numerous awards, including a Pollock-Krasner Foundation grant and the prestigious US/UK Bicentennial Fellowship, awarded by the National Endowment for the Arts and The British Council. In 2010 Yale University, the repository of The Richard Minsky Archive, mounted an exhibition of fifty years of Minsky's work. Richard is the Founder of the Center for Book Arts (1974), which has mounted over 200 exhibitions during the past 35 years, and currently offers 100 classes and workshops. He has lectured at many institutions, including Brown University, The London College of Printing, Washington University, and The Wizard Academy. He has published two limited edition volumes on American Decorated Publishers' Bindings, 1872-1929, which are in the collections of The Metropolitan Museum of Art, The Morgan Library, and other great institutions, and is the author of The Art of American Book Covers 1875-1920, published by George Braziller in 2010. Click here for an extensive list of Richard Minsky's activities. MINSKY, Richard. The Book Art of Richard Minsky. New York: George Braziller, 2011. Quarto (10 1/2 x 8 1/4 inches. 136 pp. Color illustrations throughout. Trade edition $34.95. Limited edition of 150 signed and numbered copies $175, $100 if ordered by March 31, 2011. The Breathtaking Book Art of Richard Minsky. Genesis of a Book Artist: Booktryst Interviews Richard Minsky.